Real Chinese kung fu that goes deep and which is nothing but practical exists. It's just not easy to find - unless you are willing to go the extra mile. When people think of kung fu, they probably know something about Tai Chi, Wing Chun and Shaolin Kung Fu. People admit that Tai Chi is probably good for health and longevity, Shaolin looks amazing with the flashy stunts and Wing Chun probably has some good techniques since it was Bruce Lee's original martial art. But how about combat? Real fighting? Mixed martial arts? People only give you a smirk. No one takes the Chinese kung fu as a serious martial art anymore and how can anyone blame them? What people have seen in kung fu are just some stunts, movie performances and esoteric people in traditional dresses performing something that looks more like a slow dance than an actual martial art. As a result, nowadays people like to think that the traditional no longer works. It's out of date. It's no longer practical. The martial artists of the past just sucked. The reality is that traditional knowledge, for the most part, is nothing but practical - it is just that the practitioners of today are incapable of demonstrating the art forms to their full power. They have some knowledge but can't apply the knowledge to anything practical. When you get better in fitness or martial arts, you start to realize that almost anything works - as long as you can make it work. It's ultimately the responsibility of the teacher or the disciple to make it work. It's all about the practitioner - without the right person or the right teacher nothing will work no matter how good the craft. Moreover, many of the modern practitioners have given a bad reputation for Chinese kung fu. For example, lately many Tai Chi and Wing Chun masters have been helpless with mediocre MMA fighters. The world of martial arts is also filled with snake oil salesmen and charlatans doing anything for easy money. Many stunts you see on videos are fake. The masters are not battle tested either and do not have any fighting experience. Traditional martial arts are more practical than people think. As a fitness professional, you can't really ignore the martial arts of the East because these guys were the original personal trainers of the past. 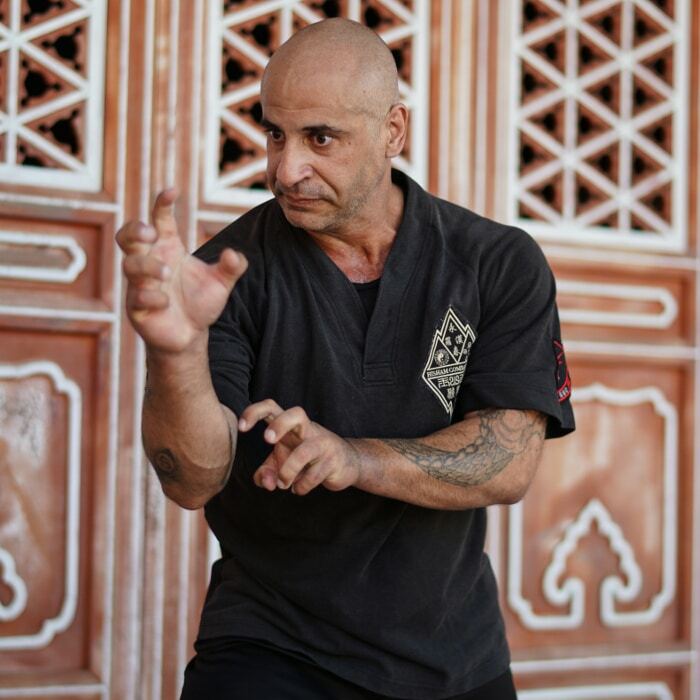 The knowledge of these ancient masters was immense because in order to survive in the fighting and fitness game for the long term, you had to have a really different approach than most people have today. There were no surgeries or steroid injections to help you recover - if you damaged your body, you could have been handicapped for life. Everything had to be for the long term because immediate cures did not exist. Moreover, these guys lived in the absolute reality. Life wasn't as easy as it is today and you had to be practical about everything - you simply couldn't afford to be impractical. If you were wrong, you paid the ultimate price. If you know anything about our story, you know that we have been traveling for several years searching for the truth. We have done this to develop our training method while helping others with our online coaching and online courses. We already had some background in Tai Chi and Qigong forms and had done plenty of studying in Shaolin kung fu and Wing Chun, but we yearned for something more - something deeper. 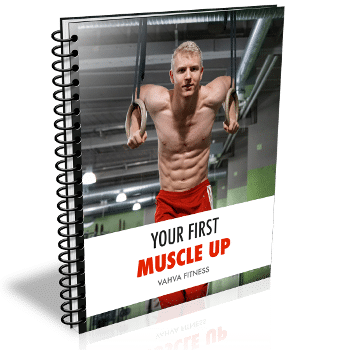 After being a fitness professional and engaged in the fitness scene for almost a decade, we have realized that the real knowledge is sometimes hard to find. We already know what is out there - what we are interested in is something that is not easy to find. The mediocre knowledge is easy to find - but the good stuff is often hidden behind the closed doors. To get this knowledge, you need to be able to give something in return. You can't show everything, especially for free because the best knowledge is always a trade secret and a competitive advantage. We share A LOT but despite all of it, people have seen only a small piece of what we actually do. Furthermore, some things are almost impossible to share on the Internet with people whose attention span is less than 6 seconds. You cannot teach everything with a quick 3-minute video. There are certain things you won't understand (or even believe!) until you actually see them and feel them with your body (this is especially true for movement training). Regarding real kung fu, we eventually found a master - a German who has been practicing martial arts for over 40 years and who has lived in Taiwan for over 20 years. This man was not easy to find because for a long time he didn't care to be found (by Westerners). 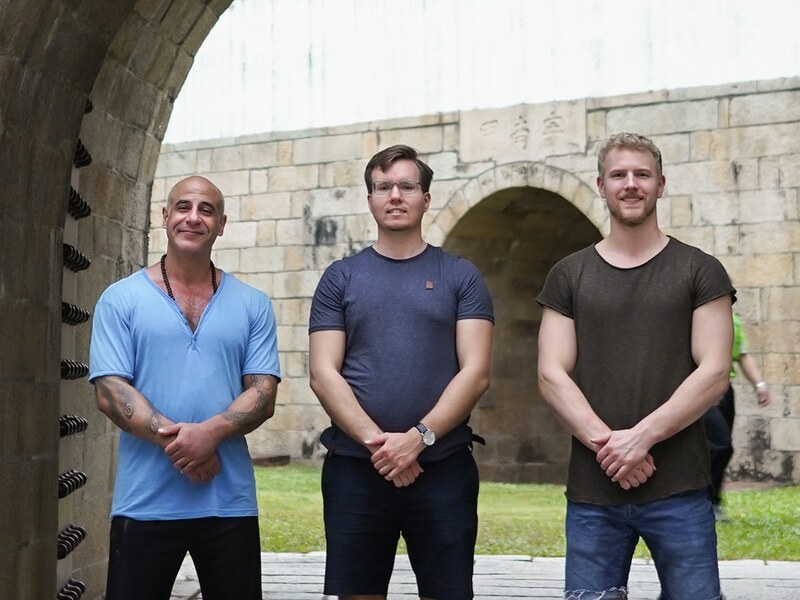 Jiang Yu Shan (江玉山), Samuli Jyrkinen and Eero Westerberg in Tainan, Taiwan. 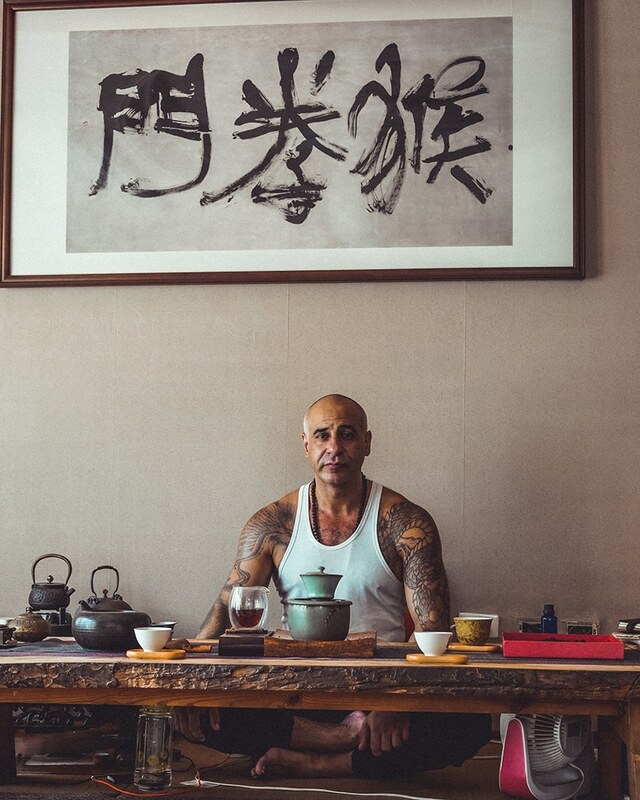 His name and martial arts school can only be found in Mandarin Chinese - luckily one of the founders of VAHVA Fitness knew some Chinese due to having lived in Nanjing, China for almost a year. This master has used his Chinese name Jiang Yu Shan (江玉山) for over 20 years. He speaks and writes fluent Mandarin Chinese and has a family in a smaller city of Taiwan called Tainan, a city known for centuries-old fortresses and temples. When it comes to finding "traditional China", Tainan is the place to visit because during the Chinese Communist revolution most traditional temples and fortresses were demolished in mainland China. Traditional martial arts were also banned and discouraged which is why many of the masters fled to Taiwan, Malaysia, Hong Kong and the surrounding countries to sustain their living and practice. Shan in his home dojo. He is an avid tea drinker and prefers finely refined Clitoria Ternatea (Ayurvedic medicine). In order to find real kung fu, you have to go to the source. You have to find the best to become the best. This is especially true for Chinese martial arts. Jiang Yu Shan did exactly this - he moved to Asia as a young man in search of finding the real masters of kung fu. He did this at a time when Asia was nowhere as developed and easy to travel as it is today. Now after decades of studying, Shan is a 33rd generation Shaolin disciple and the youngest 9th Dan in Chinese kung fu due to his ability in internal kung fu. He is probably the most known for being one of the few masters of the traditional monkey fist (Hou Quan). In addition to Shaolin kung fu and Hou Quan, Shan is also a master of Wing Chun, Bagua Zhang, Xin Yi Ba, Yiquan, Tai Chi and Qigong. 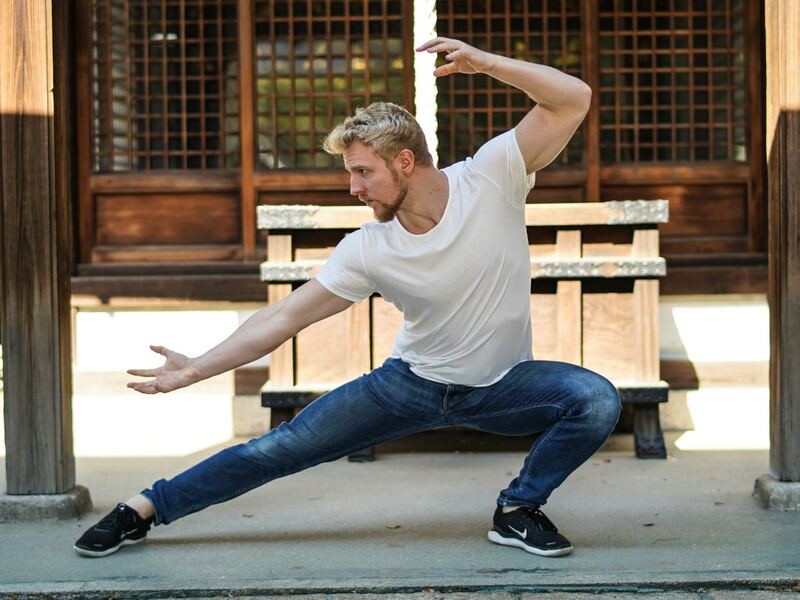 He is also trained in catch wrestling and has studied countless of other martial arts. And he didn't learn this from some random dude in German - he traveled to Taiwan to seek the masters from the direct lineages of the legendary kung fu masters such as Sun Lu Tang, Chen Min Lun and Wang Xiang Zhai. Jiang Yu Shan worked as a hand-to-hand combat instructor for Taiwan's special forces (marine corps) for over 10 years. Jiang Yu Shan has combined all of his knowledge into systems he calls the "Trinity System" and "Military Combat System". The latter name is fitting because Shan has worked over 10 years as a combat trainer for the Taiwan's special forces. A tough job where the military personnel test you by attacking you with a minimum of 3 men to see if you are actually "the real deal". 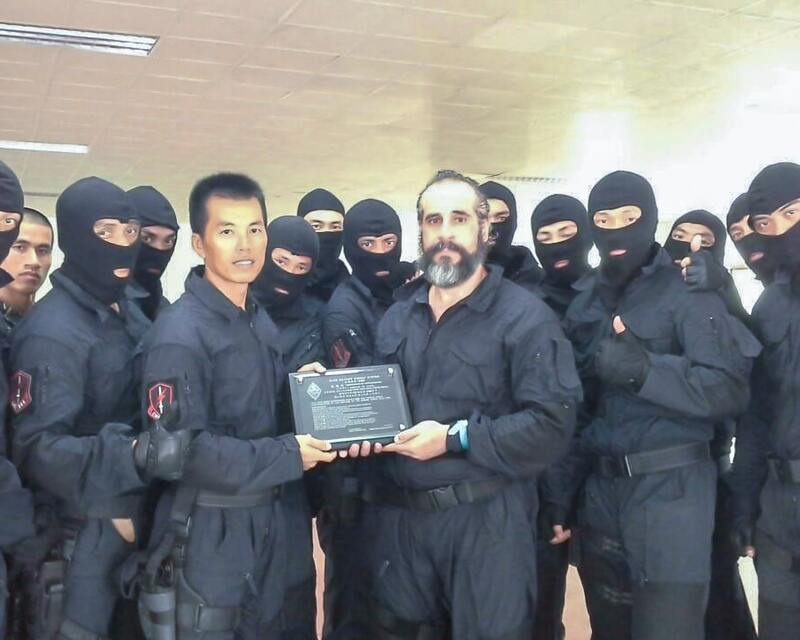 Shan has worked as an instructor for Taiwan's police and counter terrorist unit. He also worked as a bodyguard for Taiwan's president which is unheard of in Asia. To prove all of this, the man has walls full of certificates, photos and videos from these different instances which he has accumulated over the decades. Certificates don't NECESSARILY mean much. When you hear someone is a high ranked martial artist, it may or may not mean anything. Remember: "the masters" are being exposed all the time these days. There are some things you can't fake though: competition and your actual body. Jiang Yu Shan has competed in various competitions: Sanda (Chinese kickboxing with takedowns), MMA and Karate where he was the All Japan MMA Karate tournament champion in 2016. There is something that is even harder to fake: THE IRON BODY. Jiang Yu Shan's hands and forearms are hard as iron after decades of traditional hardening practice. Yet, he has full functionality in his fingers and hands. The reason why we were initially interested in Jiang Yu Shan was that he has practiced many ancient methods of hardening the body to the extreme. When you meet the man, his hands are like rocks. 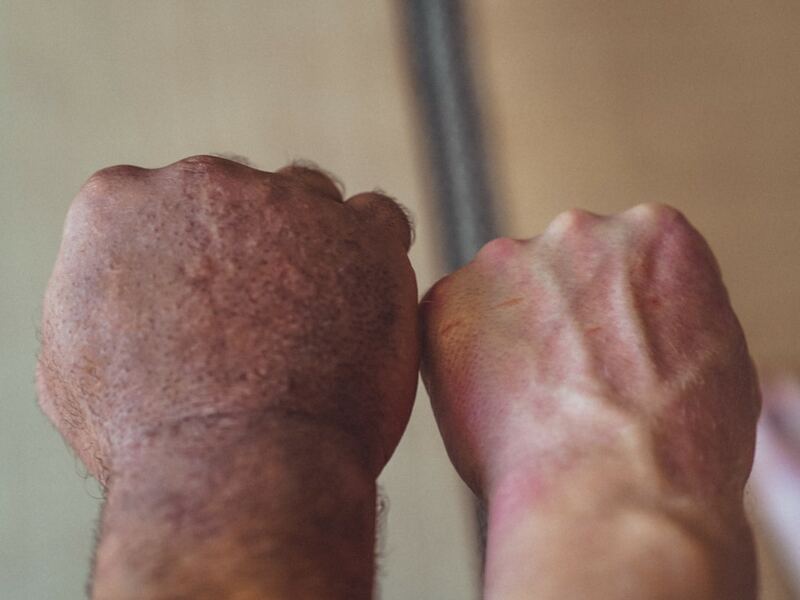 Every side of his hand has been hardened with the methods of Chinese kung fu and traditional Chinese medicine. Not only that, his forearms are like iron bars. He has "diamond fingers" which he uses to break bricks. Breaking bricks and stones has been a hobby of Jiang Yu Shan for decades. “Every element that you train with, you will have that ability in your body. The pain you experience, you can give to your opponent.” - Jiang Yu Shan. His shins and different parts of the feet such as the outer sides are hardened as well. All of these are weapons for attacking the opponent and shields for protecting yourself. There are not many masters in the entire world who have walked the walk in every aspect of their art. People tend to pick the easy soft parts and avoid the hard parts. When was the last time you saw someone with hands like Jiang Yu Shan? Truth be told, prior to meeting Jiang Yu Shan, we didn't even believe that hardening the body was useful since no one does it in the mixed martial arts and we have never seen it in person. In reality, it works better than you imagine. You have to feel the lightning strike travel in your body after you clash bones with Jiang Yu Shan to really "understand" it. Normal skin is quite elastic. You can grab the skin on the top of your hand pretty easily (try it). The skin feels thin. The bones of your hands probably feel quite brittle and you know you cannot hit anything very hard without breaking a part of your hand. Believe it or not, but anatomically these two hands are about the same size. The left one has just gone through the "iron fist" practice. Jiang Yu Shan's hands are different. The skin is so thick that you cannot even grab it. His thumbs are like chicken legs. The entire surface of his skin feels like leather and this is not an exaggeration. This is because in the traditional kung fu there are different elements (fire, water, wood, earth and metal) you can use to harden and toughen the body. You basically become as strong as the element you are using. 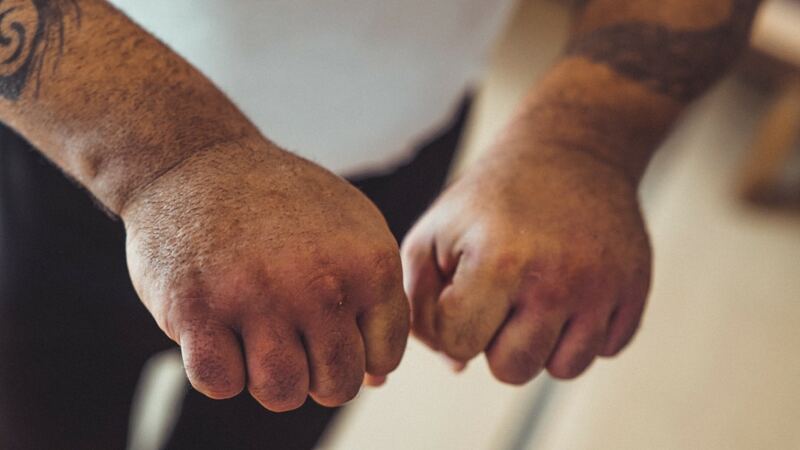 After decades of work, Shan is using metal to harden his body. DISCLAIMER: before you start hardening the body - FIND SOMEONE WHO HAS DONE IT. Most information you can find on the Internet isn't good. You need special massage techniques and traditional Chinese medicine to properly harden the body without creating long term injuries. Before meeting Jiang Yu Shan, we were already interested in pain. We were thinking of traveling to Amazon to complete a Bullet Ant Ceremony which is allegedly one of the most painful things a person can experience. We are not interested in the bullet ants anymore and only because we no longer need to. We've experienced enough pain already and the ceremony no longer feels useful. When you harden the bone, it's painful, especially when it's cumulative and you do it for many days in a row with bruised limbs. Surprisingly, striking wood or iron with your hands, forearms or shins is actually the least painful part - the worst part comes afterward. After your limbs are covered in bruises, you must do a strong massage to flatten the lumps and swelling. This is the most painful part but also the most important part because otherwise the toughening practice can cause long lasting problems. When you experience enough pain, your mind can break and emotion can come out. It can be anger, laughter or crying - it really depends on the person. This is liberating and after experiencing the pain you will feel a newly found sense of calmness. Hardening the shin bone. Good times. In the modern world, we think of pain or discomfort as something more than they actually are. In reality, pain is just pain. It's nothing special. You shouldn't let pain and discomfort prevent you from living your life to the fullest. Eat the pain and move on. Almost no one sees it this way. Most people are moving towards further comfort and avoiding anything that is even a little uncomfortable. As a result, we are more depressed than ever before. We are both physically and mentally weak. When a regular person faces even the slightest challenge, he or she quits never discovering how far he or she can actually go. This already sounds depressing. Unless you are interested in real martial arts, hardening bone may not be practical for you but it's good to realize that a little bit of pain, discomfort and challenges are actually good for you. For example, you are able to complete that hard workout or run that long distance even when you feel like quitting. You probably can take the extra stress in your school or work. There is nothing more real than pain. You can fake almost everything but when you feel pain - that's when you know you are actually alive. Pain is as real as it gets. Going through this experience was life-changing and has given us courage to live our lives with more audacity and go the extra mile in anything we choose to do. Hardening bone is not for everyone, but internal kung fu is. Jiang Yu Shan is also a master of various internal kung fu styles because life is not one-sided - you need to master both sides to be a complete human. Breaking bricks, hardening bone, striking practice, strength and conditioning are obviously hard external sides of training. Tai Chi and various Qigong forms which are softer, rehabilitative and focus more on sophistication, meditation (state of mind) and breathing can be considered internal styles of kung fu. Many martial artists are only masters of the internal side. Many Aikidokas and Tai Chi masters are physically weak and lack the hard element, whereas many MMA fighters lack the softer internal element which is why their careers are often short and filled with injuries. We have a similar distinction in our training methods as well - you need both hard and soft styles of training to fully develop the mind, body and spirit. "How can you know the internal if you don't know the external?" - Jiang Yu Shan. We didn't just practice the hard style of kung fu with Jiang Yu Shan. We also learned various internal forms of Yiquan, Hou Quan and Qigong. Although the internal training may seem easy, it can be brutally hard. Not just mentally hard but also physically hard because the forms need to be held perfectly for long periods of time (we are talking about up to an hour a single form). The internal style is something that is missing from modern MMA (Mixed Martial Arts). After training the traditional kung fu, we saw many possibilities that could be successfully applied to MMA. 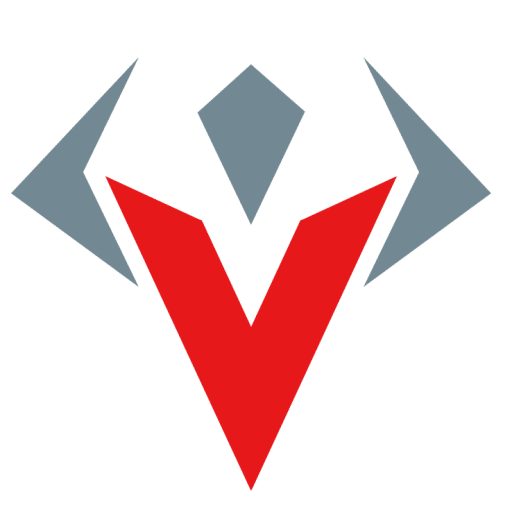 Jiang Yu Shan mentioned that many of the training methods we have "discovered" here at VAHVA Fitness have already been part of kung fu for thousands of years. We agree - these training principles are timeless but many of them have been lost. For example, many of the internal practices that focus on health, posture and mobility are done very slowly. This slowness requires patience and it also strengthens the body more thoroughly than fast paced movements. In our training methods, we do A LOT of slow tempo training because it simply works the best. Slow tempo training targets the structure of the body better than any other type of training. One thing Jiang Yu Shan kept repeating to us was "When you can do it slow, you can do it fast.". Surprisingly, people are often reluctant to do slow tempo training because they think it will make them slow. The opposite will often happen because like Shan said, when you can do it slowly - you can do it fast. Fast tempo training is still necessary but slow tempo training is nothing to be afraid of. How Good is Chinese Kung Fu? When we started the kung fu practice with Jiang Yu Shan, we were introduced to various exercises and forms we had never seen before. You can't learn that stuff from the "Master YouTube". We've realized how little the mainstream fitness or the mainstream martial art scene actually know about anything and how much we still have left to learn despite being more educated in the world of training than most coaches. Intensity. It's not enough to perform the movements, you have to live them. Almost anything you can train in the West such as Karate, Taekwondo or Wushu are watered-down versions of the real thing. They are the mainstream versions of the ancient combat arts. 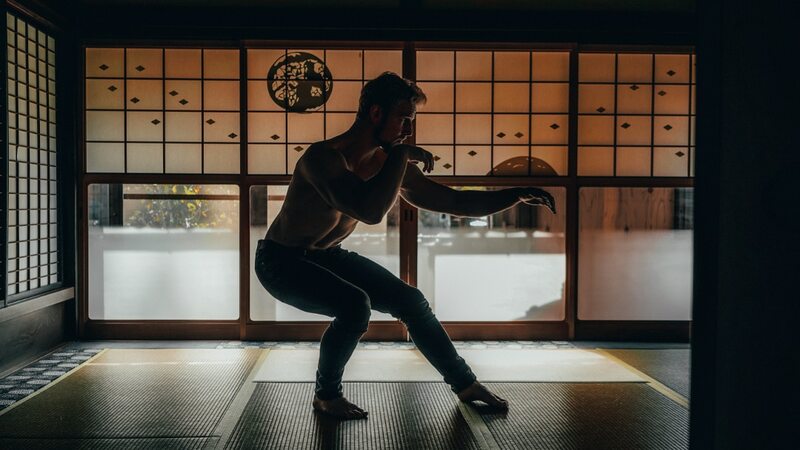 They are amazing forms of art but after the 19th centuries the real martial arts started disappearing and there are only a small number of people left who still possess the ancient knowledge and can actually apply it. What is missing is the real hard style. Not just physically but mentally and spiritually hard as well. Something that is so hard that most people would be frightened to even see it. It's almost demonic. After indulging in the Chinese kung fu and other styles of strengthening the body, the mainstream fitness almost feels like a joke. There is good stuff but for the most part, everyone has it backward and people's insecurities are running the show. We keep improving and learning. Amazing things are on the horizon and we are excited to unveil it all soon.